1 Bedroom Ground Floor Flat For Sale in Sheffield for £90,000. Available Now For Offers In Region Of 90,000! Built to a high standard and contemporary style by renowned local developers Campbell Homes, City Towers is a development of 51 high quality apartments. Apartment 14 is the final apartments remaining and is situated on the second floor. The 1 bedroom apartment comes with vinyl and laminate flooring throughout, a modern white bathroom suite; a quality fitted kitchen with build in appliances and has been neutrally decorated as a blank canvas for its new owner. 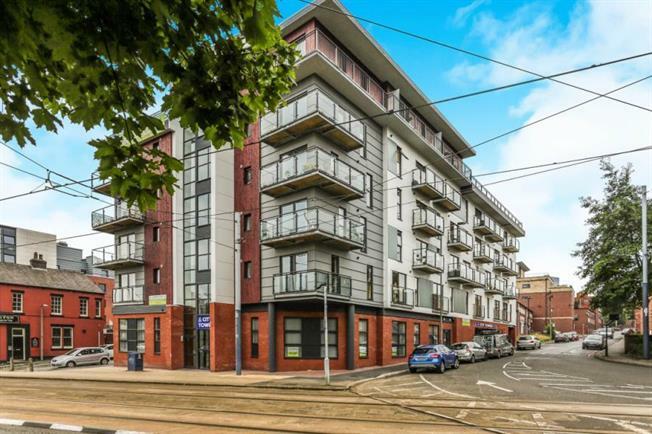 City Towers is in a great location, with access to Sheffield city centre which has an extensive range of bars, restaurants, shopping and leisure facilities. There is also good access to the hospitals and universities, public transport links such as the train and major road networks - so if you're a first time buyer looking for your first step onto the property ladder, or if you are a buy to let investor looking for a good yield every month - this could be the property for you. For further information, or to arrange a viewing to avoid missing out on one of the final remaining apartments left at City Towers - Call Blundells today.